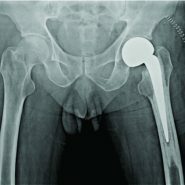 Non-traumatic Unilateral Femur Neck Fracture in a Human Immunodeficiency Virus-Positive Septuagenarian Indian Male: A Unique Case Report. From this case report, we conclude that abacavir and lamivudine though initially thought to be less damaging to bone quality as compared to other anti-retroviral drugs, render the bone osteoporotic leading to atraumatic fractures. Department of Orthopaedics, Ramaiah Medical College & Hospitals, Bengaluru, Karnataka, India. Department of Orthopaedics, Ramaiah Medical College & Hospitals, Bengaluru – 560 054, Karnataka, India. Introduction: Antiretroviral drugs are known to cause osteoporosis making the bones susceptible to fracture. Osteoporotic fractures are majorly seen in the vertebral bodies. Pathological fractures need to be fixed without much delay to start mobilization of the patients. 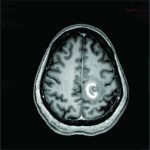 Case Report: The present case describes a 72-year-old male who was diagnosed to be human immunodeficiency virus-positive 11 months back for which the patient was on a combination of antiretroviral therapy for 11 months. The patient was a farmer by occupation. The patient presented to us with left sided hip pain for1 week with no history of trauma or fall. The patient was able to walk approximately 100m with the help of a height adjustable walker. However, activities such as squatting and sitting cross-legged were restricted for1 week. Radiographic examination revealed a fracture of the left neck of the femur. The patient was evaluated for metastasis the investigations for which were negative. Bipolar hemiarthroplasty of the hip was done since radiographically and intraoperatively no changes were noted in the acetabulum which would have changed the plan to total hip replacement. Following the surgery, patient started walking full-weight bearing from the very next day after surgery. Conclusion: This case concludes the potential of antiretroviral drugs such as abacavir, lamivudine and efavirenz to cause pathological fractures which has never been described in literature before. Keywords: Femur neck, human immunodeficiency virus-positive, Bipolar hip hemiarthroplasty, Abacavir, Lamivudine, Efavirenz. The use of antiretroviral (ART) medications in patients with human immunodeficiency virus (HIV) is highly effective in reducing HIV-related morbidity and mortality[1,2]. While HIV-positive patients continue to live longer with ART medications, adverse effects of long-term treatment include dyslipidemia, diabetes mellitus, and abnormalities of bone metabolism [3, 4]. 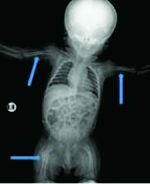 While the mechanism of skeletal fragility in these patients remains inconclusive, ART medications have been described as a factor contributing to bone loss . There is literature which states tenofovir being responsible for decreased bone mineral density (BMD) and leading eventually to pathological fracture . However, no literature till date states the role of abacavir, lamivudine and efavirenz in causing pathological proximal femur fracture. A 72-year-old male presented to the outpatient department with left-sided hip pain for1 week. The patient was a farmer by occupation and could walk with the help of a height adjustable walker upto 100 m. The patient complained of difficulty in squatting and sitting cross-legged. The pain had increased in intensity over 2 days which had affected his sleep. The patient gave no history of trauma or fall. On examination, the patient had anterior joint line tenderness with the limitation of hip movements in all the planes. Femoral pulses were well felt and bilaterally equal. Radiographic examination revealed a fracture of the left neck of the femur (Fig. 1). On further eliciting the history, the patient was diagnosed to be HIV positive 11 months back. The patient underwent left-sided total knee replacement 2 years back for which 1 unit of packed cells was given after the surgery to compensate for the intraoperative blood loss. 11 months back, the patient was planned for right-sided total knee replacement and on routine pre-operative evaluation, the patient was found to be HIV positive. The patient was started on a combination of abacavir (600 mg) + lamivudine (300 mg) with efavirenz (600 mg). The patient was compliant with the medications and would take the medications twice a day. Blood investigations sent to our institution after getting diagnosed with fracture showed no abnormality. Medical oncology opinion was taken. After all the necessary investigations and scans, no primary could be detected. Bipolar hemiarthroplasty of the hip (Fig. 2)was done since radiographically, and intraoperatively no changes were noted in the acetabulum which would have changed the plan to total hip replacement. The patient started walking full-weight bearing with a walker from the very next day after surgery. Intraoperative sample sent for biopsy was reported as Acute on Chronic Inflammatory Process with no signs suggestive of malignancy. Antiretroviral drugs have been known to cause bone loss . Tenofovir (Viread), a commonly prescribed ART drug, has recently been noted to cause Fanconi syndrome, a disorder characterized by renal tubular dysfunction, which leads to hypophosphatemia, hypokalemia, and metabolic acidosis, as well as symptoms of polyuria and dehydration . Patients with Fanconi syndrome can experience electrolyte disturbances due to impaired renal tubular reabsorption, which can ultimately lead to defects in bone mineralization [6, 7]. Tenofovir has been linked to BMD loss, but similar results have been shown with other ART medications[8,9]. Low BMD is common in untreated HIV patients, although greater BMD losses are seen in patients on continuous ART medication .Rebolledo et al. reported a case of bilateral pathologic hip fractures associated with antiretroviral therapy . Kim et al. retrospectively evaluated 224 HIV-infected patients. They found that there was a greater decrease in BMD in subjects treated with tenofovir/emtricitabine than with abacavir/lamivudine . They concluded that osteoporosis was more prevalent in the early stages of treatment and was more prone to the spine area in the patients on the abacavir-based regimen, than in those on the zidovudine-based regimen . Negredo et al. conducted a randomized pilot study on 54 patients. 26 patients switched from tenofovir to abacavir, and 28 patients continued with tenofovir. At 4 years follow-up, they concluded that switching from tenofovir to abacavir led to a slight improvement in femoral BMD although no differences were detected between groups . There is no literature to date which mentions about efavirenz playing a role in altering calcium metabolism or bone microarchitecture. Our case report is unique because it highlights the potency of abacavir and lamivudine to cause pathological fractures, contrary to the popular belief that these two drugs are safe for calcium metabolism. This warrants regular follow-up and BMD scanning to be done for patients on these 2 ART drugs. The take-home message from this case report is that patients on ART are prone to osteoporosis with a subsequent pathological fracture which warrants fixation for early ambulation. Contrary to previous literature, our case report points out to the fact that abacavir and lamivudine increase the chances of pathological fracture and patients on these two medications require regular follow-up and necessary investigations to assess the bone quality. 1. Palella FJ Jr., Delaney KM, Moorman AC, Loveless MO, Fuhrer J, Satten GA, et al. Declining morbidity and mortality among patients with advanced human immunodeficiency virus infection. HIV outpatient study investigators. N Engl J Med 1998;338:853-60. 2. Lau B, Gange SJ, Moore RD. Risk of non-AIDS-related mortality may exceed risk of AIDS-related mortality among individuals enrolling into care with CD41 counts greater than 200 cells/mm3. J Acquir Immune DeficSyndr2007;44:179-87. 3. Brown TT, Qaqish RB. Antiretroviral therapy and the prevalence of osteopenia and osteoporosis: A meta-analytic review. AIDS 2006;20:2165-74. 4. Behrens G, Dejam A, Schmidt H, Balks HJ, Brabant G, Körner T, et al. Impaired glucose tolerance, beta cell function and lipid metabolism in HIV patients under treatment with protease inhibitors. AIDS 1999;13:F63-70. 5. Rebolledo BJ, Unnanuntana A, Lane JM. Bilateral pathologic hip fractures associated with antiretroviral therapy: A case report. J Bone Joint Surg Am 2011;93:e78. 6. 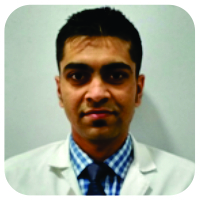 Earle KE, Seneviratne T, Shaker J, Shoback D. Fanconi’s syndrome in HIV1 adults: Report of three cases and literature review. J Bone Miner Res 2004;19:714-21. 7. Clarke BL, Wynne AG, Wilson DM, Fitzpatrick LA. Osteomalacia associated with adult Fanconi’s syndrome: Clinical and diagnostic features. Clin Endocrinol (Oxf) 1995;43:479-90. 8. Amiel C, Ostertag A, Slama L, Baudoin C, N’Guyen T, Lajeunie E, et al. BMD is reduced in HIV-infected men irrespective of treatment. J Bone Miner Res 2004;19:402-9. 9. Martin A, Bloch M, Amin J, Baker D, Cooper DA, Emery S, et al. Simplification of antiretroviral therapy with tenofovir-emtricitabine or abacavir-lamivudine: A randomized, 96-week trial. Clin Infect Dis 2009;49:1591-601. 10. Grund B, Peng G, Gibert CL, Hoy JF, Isaksson RL, Shlay JC, et al. Continuous antiretroviral therapy decreases bone mineral density. AIDS 2009;23:1519-29. 11. Kim HS, Chin BS, Shin HS. Prevalence and risk factors of low bone mineral density in korean HIV-infected patients: Impact of abacavir and zidovudine. J Korean Med Sci 2013;28:827-32. 12. Negredo E, Domingo P, Pérez-Álvarez N, Gutiérrez M, Mateo G, Puig J, et al. Improvement in bone mineral density after switching from tenofovir to abacavir in HIV-1-infected patients with low bone mineral density: Two-centre randomized pilot study (OsteoTDF study). J Antimicrob Chemother 2014;69:3368-71. 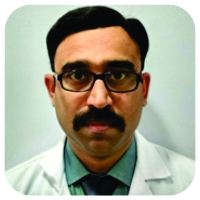 How to Cite This Article: Ramanath S K, Shah R H. Non-traumatic Unilateral Femur Neck Fracture in a Human Immunodeficiency Virus-Positive Septuagenarian Indian Male: A Unique Case Report. Journal of Orthopaedic Case Reports 2018 Sep-Oct; 8(5): 75-77. September 10, 2018 What is Keeping us from Producing Good Research?